Chelsea was born in Knoxville, Tenn., and raised in Panama City Beach, Fla., before making Birmingham her home two years ago. She studied business management at Gulf Coast Community College, and in 2016 attended Lurleen B. Wallace Community College. Upon graduating, she received her medical aesthetician license. Chelsea worked in various managerial positions throughout school and interned at a prominent dermatology office after college. There, she had the opportunity to train directly under the physician and master aesthetician. She recently received her certification as an Eyelash Extension Artist and is an Aesthetic Judge for the Skills USA Competition. At Seiler Skin, Chelsea trains under Dr. Seiler and the experienced Seiler Skin team to advance her knowledge of cosmetic laser, injection and aesthetic procedures, which enables her to assist with patient treatment planning and coordination. Like all team members, Chelsea participates in all ongoing educational and practical training sessions led by Dr. Seiler. Chelsea is one of our medical aestheticians at our practice. She enjoys helping new patients understand the consultation process and plan their course of treatment. Chelsea takes pride in being able to answer any patient question and strives to be a trusted resource for our patients – providing any assistance necessary to help them achieve their desired outcomes. 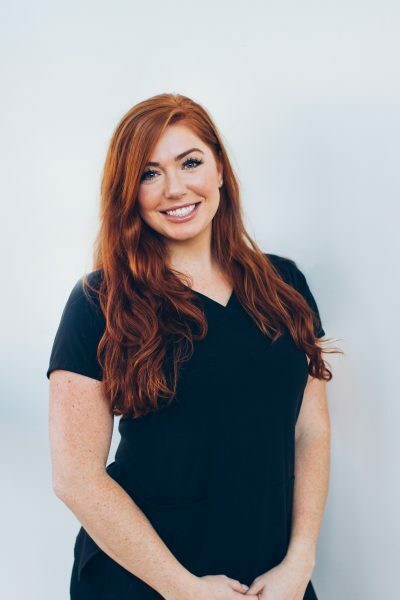 You will see Chelsea assisting Dr. Seiler with patients, seeing new patient consultations and performing HydraFacials, chemical peels and Dermaplane treatments. Chelsea will also help to ensure every patient has a great experience at Seiler Skin. Chelsea lives in Vestavia Hills with her husband, Bill, her daughter and three dogs. In their free time, they like to stay busy traveling and enjoying the beauty of the great outdoors. Please note that the date you requested may not be available. We will contact you to confirm your actual appointment details.